UNITED NATIONS, Jul 24 2015 (IPS) - On Friday, 67 student essay winners from 42 different countries convened at the United Nations General Assembly to present their essays at the Many Languages, One World Global Youth Forum. The students were selected as winners of the Many Languages, One World International Essay Contest among a pool of over 1,250 participants. Participating students were required to write a 2,000-word essay on a topic related to the post-2015 development agenda in any of the official U.N. languages, Arabic, Chinese, English, French, Russian and Spanish – the condition being that the language chosen was not the participant’s first language or primary language of instruction during pre-university study. Many students submitted the essay in their third or fourth language, one participant even in his seventh language. The idea behind the contest, organised by the United Nations Academic Impact (UNAI) and ELS Educational Services, is to pay tribute to the impact and value of multilingualism and promote dialogue and debate with and among young people on the post-2015 development agenda. 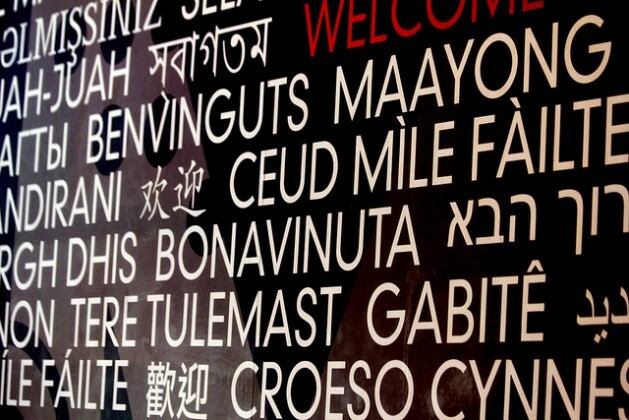 “Multilingualism is a basic free condition for global citizenship because it enables citizens to understand the perspectives of other people in their languages as well as in their own. It is the only way to truly communicate with other people and reach a common understanding which is the basis for dialogue, debate, argumentation and reaching compromise,” Mark W. Harris, President and CEO of ELS Educational Services, said in his opening remarks. For the presentation of their essays, the students were divided up into six groups, according to the U.N. language in which they submitted their essay. Each language group covered a different topic related to the post-2015 development framework, ranging from education, health, sustainable economic growth, inclusiveness and justice to water management and sanitation as well as nutrition and food security. Among the numerous ideas and recommendations put forth by the students, emphasis was placed on the increased use of technology as a tool to reach rural areas, the value of scholarships and academic contests to encourage student performance and achievement, the added-value of healthy and sustainable lifestyles, including fair and just working conditions and the way individual consumer decisions can ultimately make a difference.